'Rusholme is a name conveying very different ideas to different people. Situated on one of the most frequented roads out of Manchester, it is well known to all the residents on the south side of the city. But what is known? The name is familiar. The old 'village' street is occupied for the most part with excellent shops, though a few older buildings testify to its evolution. 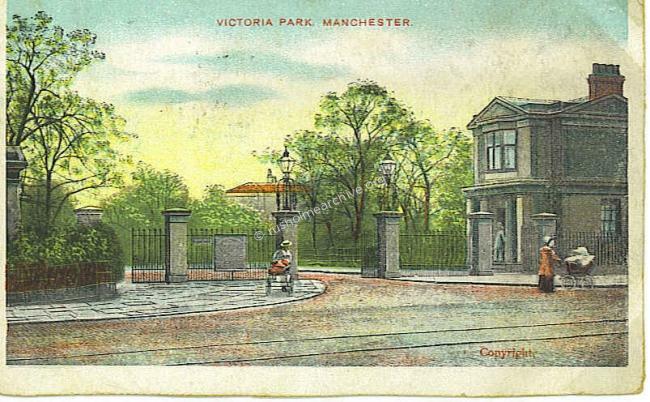 Between the city and the 'village' lie Victoria Park and the district surrounding Whitworth Park and Moss Lane East. Beyond it has been a succession of fine houses. These surroundings have made people think of Rusholme as well-to-do suburb. But there is a 'Back Rusholme', as well as the Rusholme that every traveller by bus or tram has known for years: and probably 'Back Rusholme' has been practically an unknown land to the vast majority of people passing along the main road. It is a compact district; but it is a compact district of congested poverty. It would not be too much to say that a bad Manchester slum has lain almost hidden behind the handsome shops on Wilmslow Road, and almost under the shadow of the big houses of the wealthy. Conflicting views, but certainly during the previous 100 years, the expanding & rapid industrialization of Manchester drove perhaps initially the wealthiest residents out to the then countryside, and subsequently a middle class emerged who sought a more 'genteel' suburban dwelling. No doubt many of the 'underclass' referred to by the Peoples Institute found very poorly paid employment looking after the needs of 'carriage trade'. There is a page devoted to the Peoples Institute, see the menu on the left. 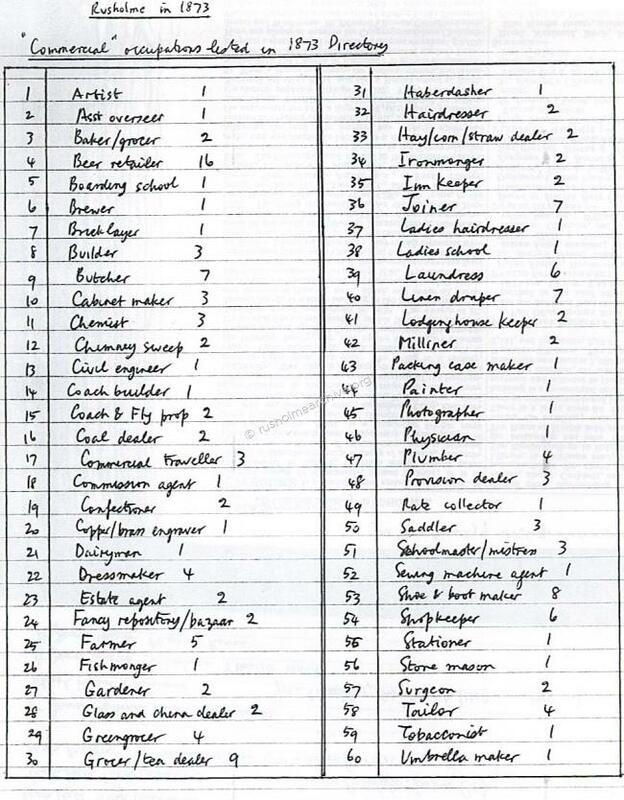 The 1873 Post Office Directory listed various residents and their occupations. Peter Helm has extracted the information and beneath is the chart showing the 'commercial' occupations. Listed alphabetically it worth noting that there were 5 farmers still in Rusholme. Also worth noting is the number of beer retailers, 16 in total! If this does seem to surprise you then below are two items to consider! Mary Broom, Wm Farmer, Rusholme, Lancashire. 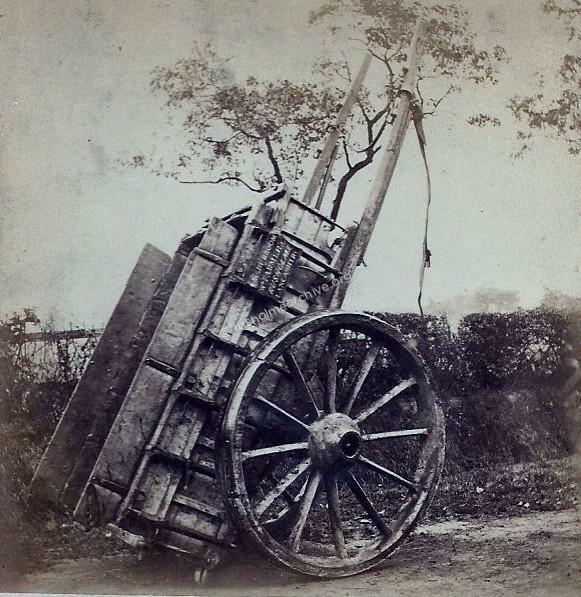 A fine photograph of this cart taken by Helmut Petschler probably in the 1860's, (he died in 1870). You can see the inscription on the cart. Also read the page about 'Lower Oak Farm'. 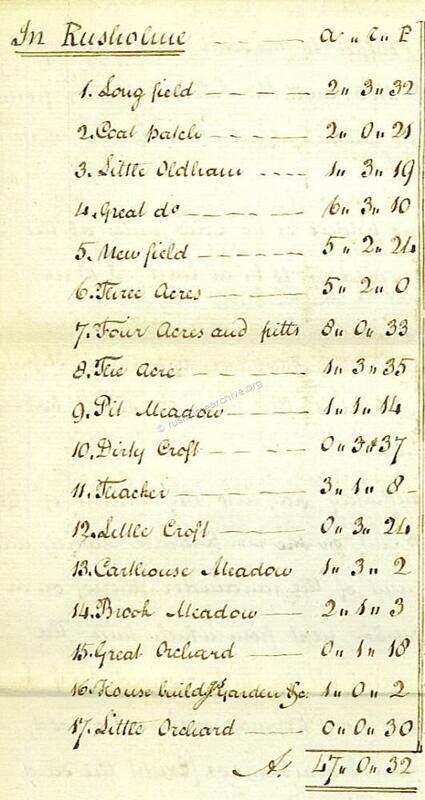 The next two illustrations are from a document referring to an auction 24th July 1798 listing various fields in Rusholme, in total some 47 acres. Rusholme - a brief history. Up until the early part of the 19th century Rusholme has been a village lying in the countryside to the south of Manchester & dominated by the two large estates of Birch & the Platt Hall estate. Gradually as Manchester industrialized the simple village occupations of weaving, farming started to give way, no doubt the earnings in the huge mills, engineering works & other chemical works lured people away from the Village Green. According to William Royle, (who will have his own page later) the population of Rusholme in 1801 was only 726 and this had tripled by 1851. William Royle was probably using the figures referred to by the Rev. John Booker. His study of Rusholme is referred to later in Birch-in-Rusholme. Rev. Booker has gone back earlier than William Royle to 1714. 'The earliest return of the population of Rusholme is in the year 1714 at which time it contained but 40 families representing probably an aggregate of 200 persons. Of these families five were dissenters. In 1774 the number of families had increased to 67 consisting of 351 individuals and residing in 63 houses Of its then inhabitants one hundred and fifty were under the age of 15 years forty three above 50 nine above 60 eight above 70 and three above 80. In 1801 the population had reached 726; in 1811 it amounted to 796; in 1821 to 913; in 1831 to 1,078 in 1841 to 1,868 and in 1851 to 3,679 being an increase on the past ten years of 97 per cent. By this time Rusholme had established gas street lighting, (fourteen gas lamps! ), established a Board of Health to enable drainage, good supplies of fresh water & pave the streets. In 1860 the Rusholme Public Hall was built. This was to be used for the 'moral and intellectual improvement of the people of Rusholme'. The subscription was 5p per quarter which included use of the Reading Room and the Library. This independence of the Rusholme 'Township' ended in 1885 when Rusholme was incorporated into the city of Manchester. Although large homes had been built in parts of Manchester, (notably in the Quay St. area where some houses still survive), the disagreeable effects of the large factories prompted an exodus from the City of the prosperous merchants. Large villas were being built on sites along the Oxford Road and two schemes commenced in Rusholme. The earliest in 1836 was to be at Brighton Grove, albeit a very grand scheme only four homes were built. Far more successful was the Victoria Park Estate. 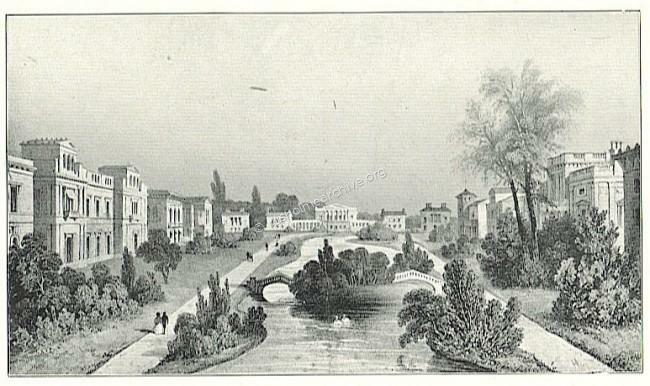 Nearly 150 acres of land covering Rusholme, Moss Side, Chorlton-on-Medlock were laid out as an ornamental & gated Park in 1837. Victoria Park mansions with big gardens initially designed by the successful Manchester architect, Richard Lane became a very fashionable address. Although the company foundered after only a few years a Trust was formed and it influenced a much larger area to be considered rather exclusive. 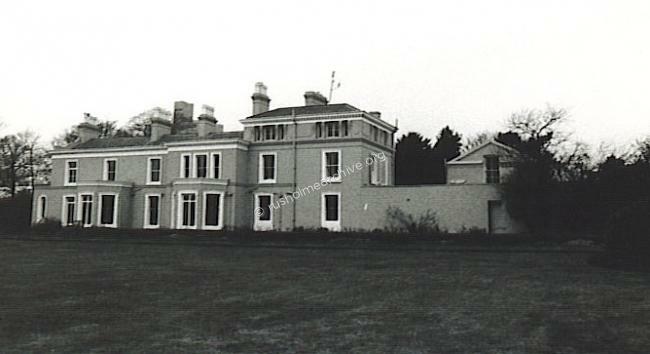 Further along Wilmslow Rd large villas were being built that overlooked the grounds of Platt Hall. Finally at the point where Old Hall Lane begins & then down to Mosely Road and away to the east another estate of large houses was built, known as 'Oak Drive'. Only two remain, both as part of the Owens Park estate of the University. One, and the oldest part of the Ashburne Hall of residence was built about 1830 & eventually became the home of the Behrens family before they gave it to the University. The other remaining property is now called Chancellors, (see photograph below) but was originally built in 1851 for Sir Joseph Whitworth, the engineering magnate who called it The Firs. The architect was Edward Walters, considered the pre-eminent Manchester architect during the mid-Victorian period. To read the page on the Images of England website about the listing of The Firs click here. After the death of Sir Joseph it became the home of C.P. Scott, the Editor of the Manchester Guardian. As the reign of Queen Victoria came to a close & the Edwardian era began all of the green fields around Rusholme were being built over with rather more modest homes for the workers who serviced the ever growing needs of the city. This was particularly the lower middle class referred to at the beginning of this page by the Parks Superintendent. These were the families that could still manage to employ a 'Domestic'. At this time the largest single group of the employed were not factory workers but domestic servants. It is worth looking at the 1901 Census returns to see how many houses in Rusholme registered a resident domestic. 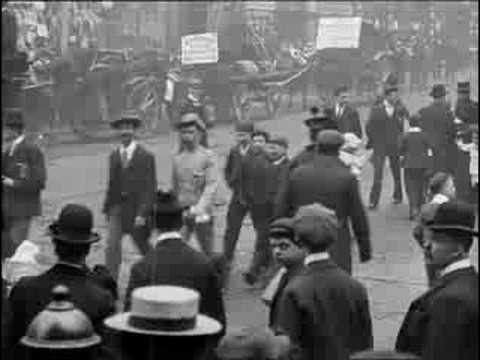 The film that you have just seen is by courtesy of the British Film Institute on Youtube. This is from the remarkable Mitchell & Kenyon collection, a small film production company who started in Blackburn. 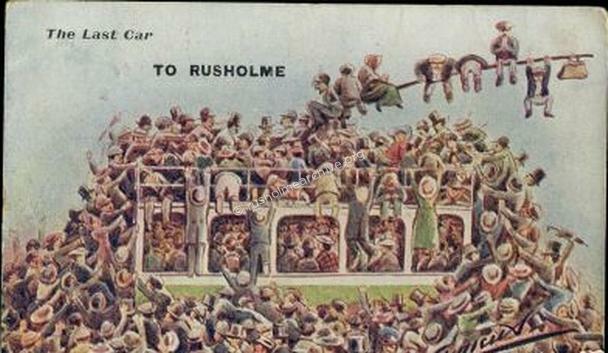 Perhaps those very busy streets were the reason that this postcard below indicates how many people wanted to get back to their homes in Rusholme. A thoroughly readable study of the changes that took place in Manchester during the 19th century is in a book by Prof. Alan Kidd simply titled 'Manchester, a history', published by Carnegie.